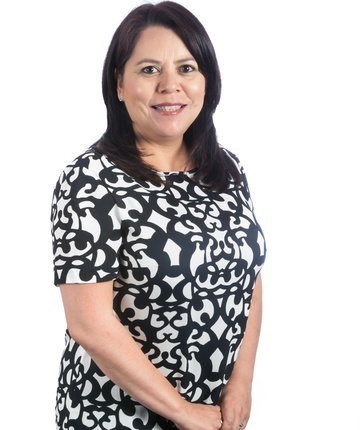 Marcela Bolland is a Partner at Uhthoff in Mexico, where she is part of the team that leads the Trademark Department at the Firm in which she has over 20 years of experience in Intellectual Property. Her main practice focuses on handling trademark prosecution and litigation in Mexico, and coordinating trademark filings and related litigation abroad, serving as a liaison between brand owners and agents throughout the world. Marcela joined Uhthoff in 1997 and was appointed as a Partner in 2007. She holds a Law Degree from Universidad Panamericana in Mexico City and an Postgraduate in Intellectual and Industrial Property. She is fluent in Spanish and English. Mrs. Bolland is the author of Considerations of the Supplementary Application of the Federal Code of Civil Procedure to the Administrative Proceedings contained in the Law of Industrial Property (2001). On 2012 she participated as moderator and speaker in the International Trademark Association (INTA) meeting held in Washington, where she coordinated and addressed the Latin-American Update Session. During 2014 and 2015 Ms. Bolland collaborated in the paper Shape Trade Marks – An International Perspective prepared by the International Trademark Law and Anti-Counterfeiting Committee of Intellectual Property Owners Association as well as in the book Industrial an Intellectual Property Studies published by Editorial Novum with the article “The Treatment of Bad Faith within the Law of Industrial Property”. Ms. Bolland is part of the mentoring program of Abogadas MX, a nonprofit association which purpose is to boost the participation of women lawyers in leadership positions within companies, firms and government institutions. She is an active member of the Mexican Association for the Protection of Intellectual Property (AMPPI), the Mexican Bar Association (BMA) and International Trademark Association (INTA). She is part of the Asociación MX Lawyers, a non-profit organization whose purpose is to promote the participation of women lawyers in leadership positions in companies and government institutions.